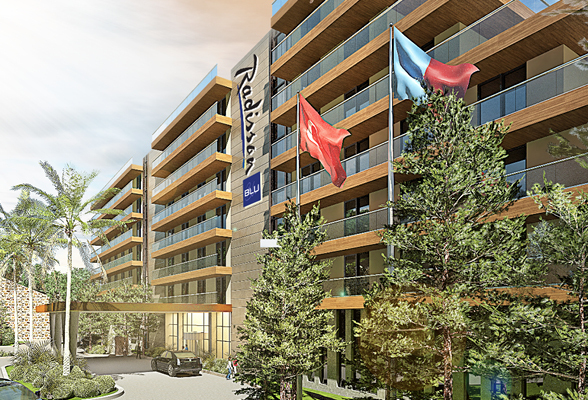 BRUSSELS, Belgium, 2016-Dec-15 — /Travel PR News/ — The Rezidor Hotel Group, one of the fastest growing hotel companies in the world and a member of the Carlson Rezidor Hotel Group, is pleased to announce the signing of the Radisson Blu Hotel, Trabzon in Turkey. The newly built hotel is the latest addition to the group’s Turkish portfolio of 22 hotels in operation and under development. The hotel will open in Q2 2018 featuring 162 rooms, meeting rooms and a spa equipped with a swimming pool. The Radisson Blu Hotel, Trabzon will also have a large rooftop bar and café with panoramic views over the city and Boztepe Park, adjacent to the hotel. Elie Younes, Executive Vice President & Chief Development Officer of Carlson Rezidor Hotel Group said: “This signing is in line with our growth strategy in Turkey where we are a leading player. We are pleased to enter the Trabzon market which is lacking internationally branded hotels and offers great opportunities. We look forward to further supporting travel & tourism in the city and the country together with our experienced partners”. Trabzon offers a number of cultural highlights including several museums, the famous Trabzon Castle as well as the home of the first Turkish president that are all open for visitors. There are also several monasteries of interest in the local area and the hotel will be located very close to the city center for guests, hosting a hub of shops and restaurants around the main square. Turkey, the 6th most popular tourist destination in the world, is an increasingly important region to Carlson Rezidor. There are development plans in Trabzon, including building an artificial island to further attract tourism to the Black Sea. Carlson Rezidor Hotel Group is one of the world’s largest and most dynamic hotel companies and includes 1,400 locations in operation and under development with more than 220,000 rooms and a footprint spanning 115 countries and territories. The Carlson Rezidor portfolio includes a powerful set of global brands: Quorvus Collection, Radisson Blu®, Radisson®, Radisson RED, Park Plaza®, Park Inn® by Radisson and Country Inns & Suites By CarlsonSM. Guests can benefit from Club CarlsonSM, a program that redefines hotel rewards with a collection of exceptional benefits, services, and privileges at more than 1,000 hotels worldwide. Carlson Rezidor Hotel Group and its brands employ 90,000 people systemwide and is headquartered in Minneapolis, Singapore, and Brussels. For more information, visit www.carlsonrezidor.com and follow on Twitter @carlsonrezidor. This entry was posted in Hospitality, Hotels, Travel, Travel Management and tagged Elie Younes, Karadeniz Orme Sanayi Ve Dis Ticaret A.S, Radisson Blu Hotel, The Rezidor Hotel Group, Trabzon, Turkey. Bookmark the permalink.